On Thursday, June 29, The Fund for American Studies (TFAS) hosted a panel titled, “Landing a Job in D.C.” as a part of their career development series. Speakers included LeeAnna Matarazzo of the American Enterprise Institute, Cherisse Eatmon of the Millennial Action Project, and Christopher Ullman of the Carlyle Group. College students, from various universities across the country, came to soak in the knowledge the three panelists had to offer in regards to landing a job in the nation’s capital. 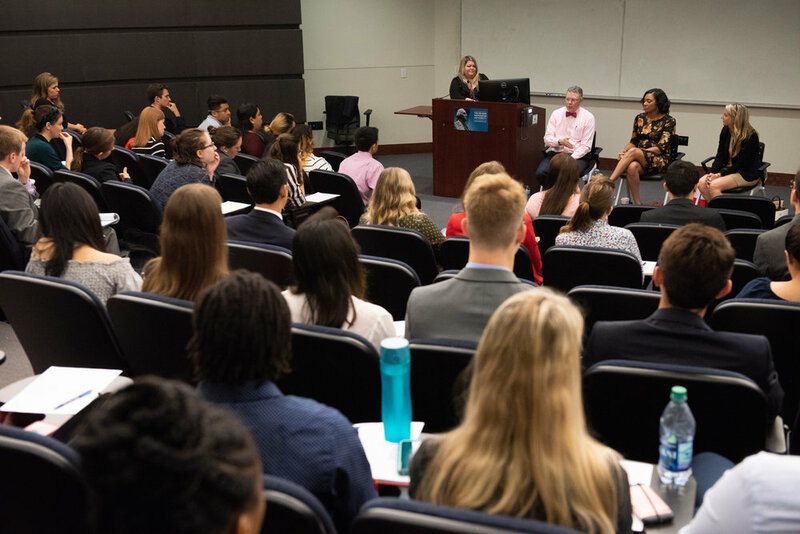 Talent Development Manager of the American Enterprise Institute and TFAS Alumna LeAnna Matarazzo offered insight on how to nail the interview process and build a professional image. “Do your research… interviewers will ask you if you are familiar with their work, and you have to make sure you know what they’re all about,” she explained. She then went on to offer advice on the common “strengths and weaknesses” question that young professionals often struggle with. “Offer a unique strength and then go on to explain how you used it in practice in your professional experiences,” she said. In regards to weaknesses, she advised the students to explain how they have been striving to improve upon them. State Caucus Network Director at the Millennial Action Project, Cherisse Eatmon, offered insight on seizing all the opportunities that students come across. “Take advantage of internships and experiences in the field you think you want to work in… do not limit yourself,” she explained. She also echoed the importance of D.C networking in the students’ future success. “Utilize networks in this city… get in touch with organizations that are in-line with your passions,” she explained. To top it off, she advised students on the importance of social networks like LinkedIn and keeping it up-to-date. As Managing Director and Director of Global Communications of The Carlyle Group, Chris Ullman highlighted three keys to landing a job: Heart, Head and Network. “It is crucial that you understand yourself when it comes to marketing your brand to companies,” he explained to the students. Imploring students to note their specific interests and how to best gain and harness their networks were Ullman’s two main tokens of advice. “What do you want to do? What do you enjoy? Ask yourselves these questions and do not be afraid to network with people and establish an authentic connection with them” he said. After hearing from the panelists, students had the opportunity to ask questions and get one-on-one advice.